Be the first to share your favorite memory, photo or story of Balbir. This memorial page is dedicated for family, friends and future generations to celebrate the life of their loved one. 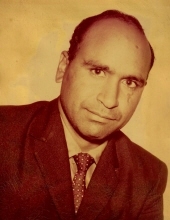 Balbir Singh Takhar, age 81, passed away peacefully on April 3rd, 2019, in the company of his family. He was born August 12th, 1937, in Hangoli, India and raised in the village of Shankar in Punjab, India. Balbir spent his youth in Punjab, India, where he studied at Khalsa College. He then worked for the World Health Organization to help prevent the spread of malaria. He was a teacher in Adampur and then he became a Land Valuation Officer in charge of 4 districts. His success in India gave him the opportunity to become the Consulate General of India but he turned it down to pursue a life in America. Balbir came to the USA in 1966 where he went back to school at San Joaquin Delta College to study and work towards the American Dream. During his studies, he charmed his fellow students and faculty to become the elected school budget chairman and program chairman. With his entrepreneurial spirit he had various careers including being a real estate broker, insurance broker, loan broker, tax consultant, and helped numerous people come to America as an immigration consultant. Balbir enjoyed entertaining his family and friends with his melodious voice and his tumbi. He once performed in front of 13 judges at a United Nations competition and won for his song "Dance like a Daffodil." As a man of deep faith, he spent many years writing religious hymns and performing for his loved ones. He also would look forward to watching wrestling with his family every week. He lived his life with love, integrity, and respect. He would never hesitate to tell the people in his life, "I love you." He is survived by his wife, Davinder; his daughter, Naripdip and her husband Eddy; his son Harjot and his wife Jasvir; and his sister Bakhshish Kaur Sangha. He is preceded in death by his parents, Ram Chand and Bichant Kaur; and his brothers, Karnail and Gurmit. Funeral services will be held Sunday, April 7th, 2019, at Chapel of Twin Cities starting at 11 am. To send flowers or a remembrance gift to the family of Balbir Singh Takhar, please visit our Tribute Store. "Email Address" would like to share the life celebration of Balbir Singh Takhar. Click on the "link" to go to share a favorite memory or leave a condolence message for the family.